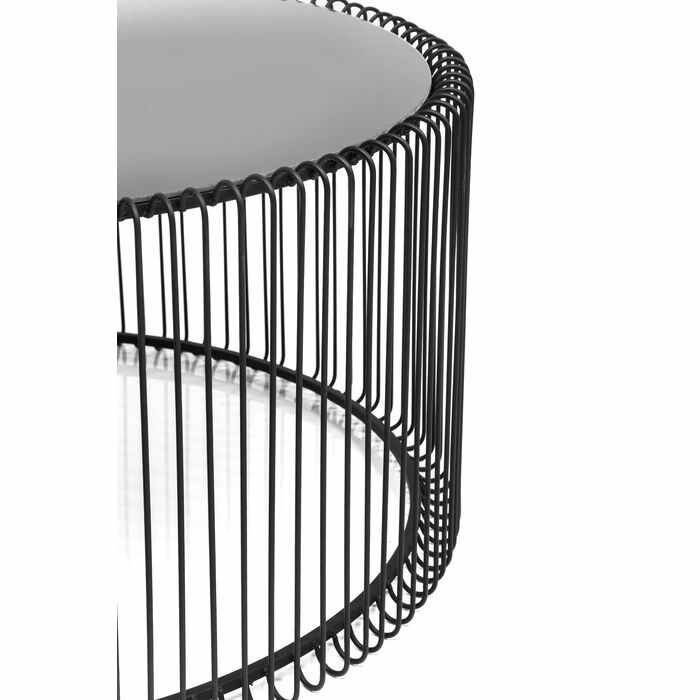 Coffee table with elegant lines. 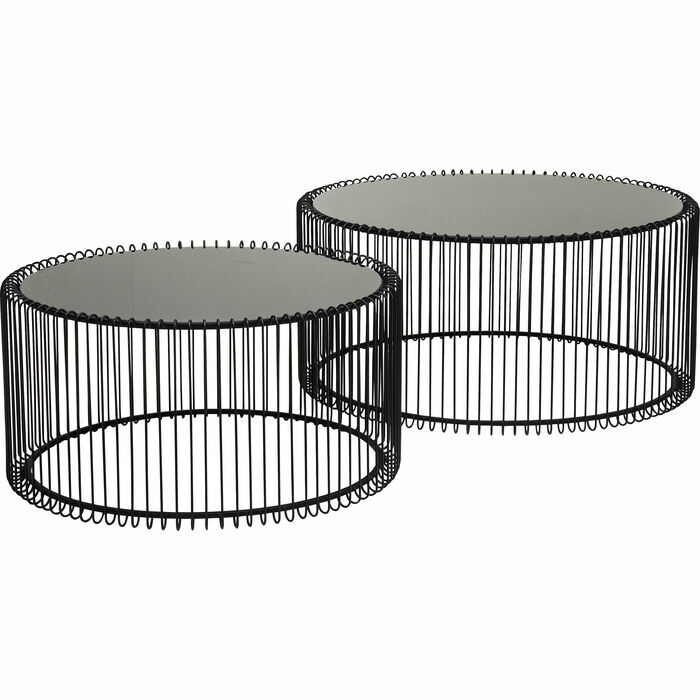 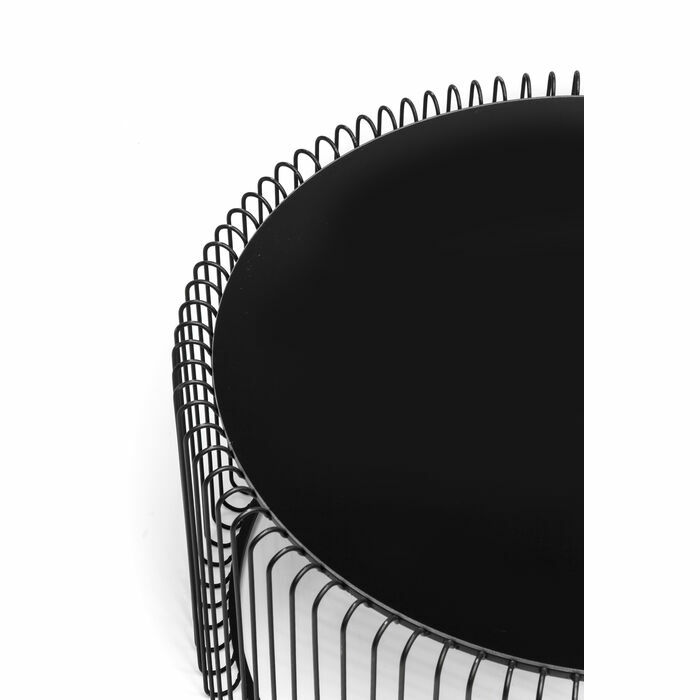 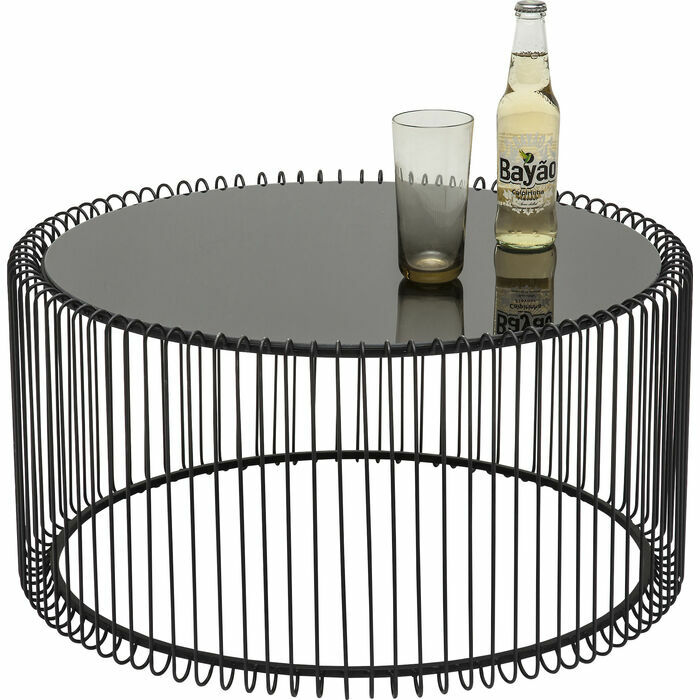 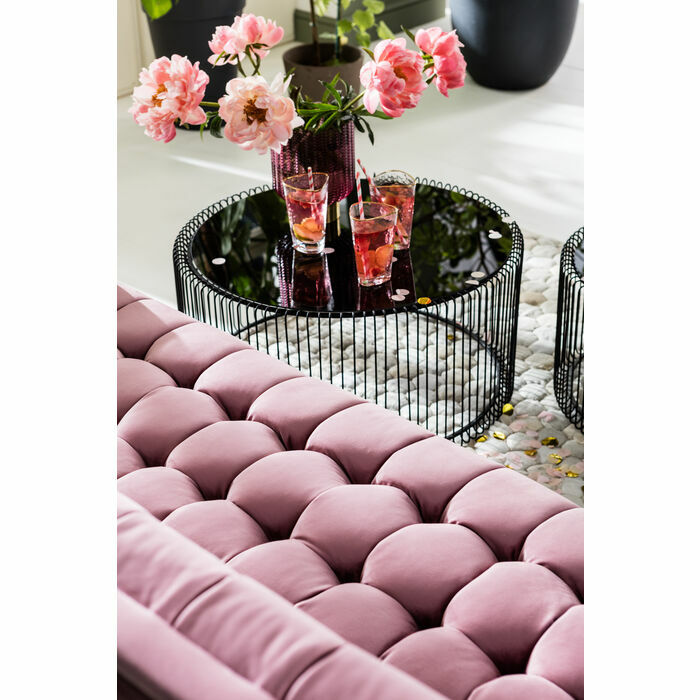 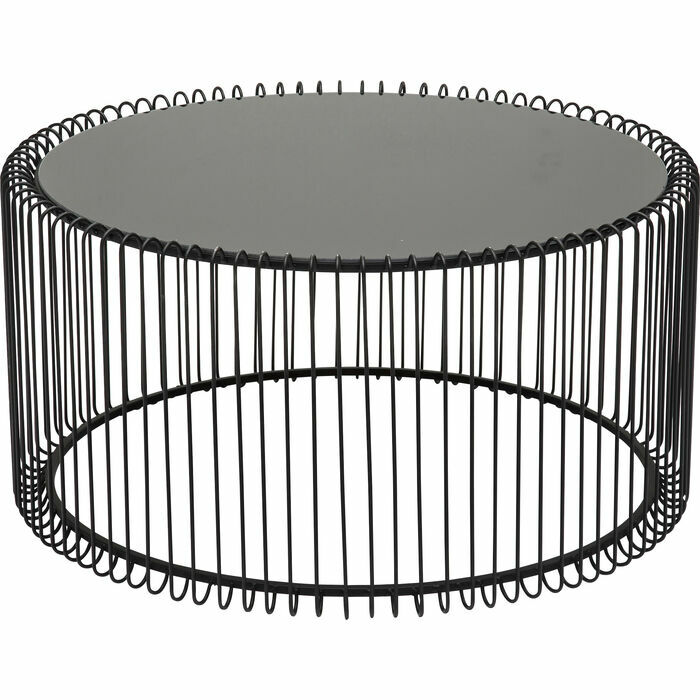 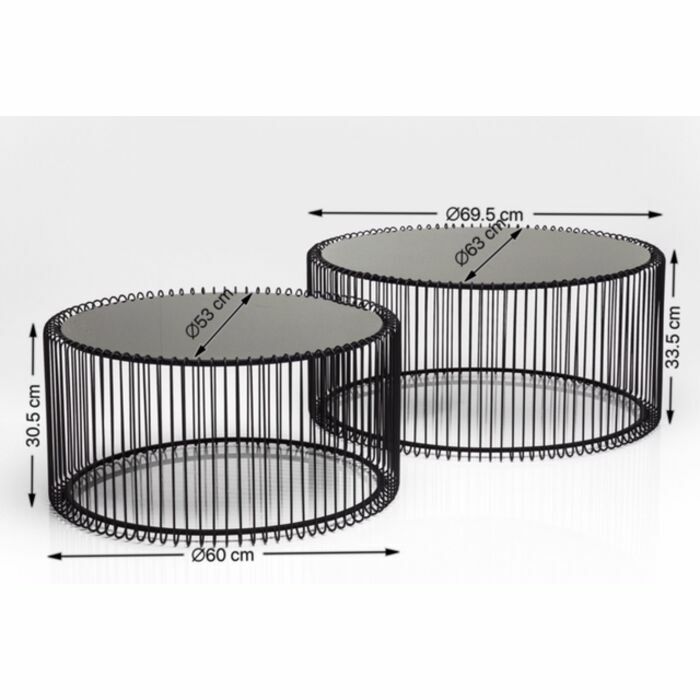 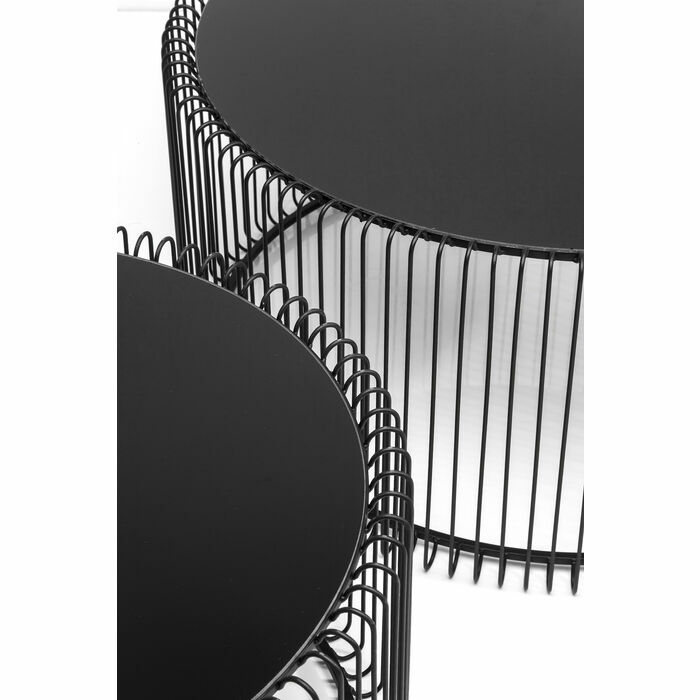 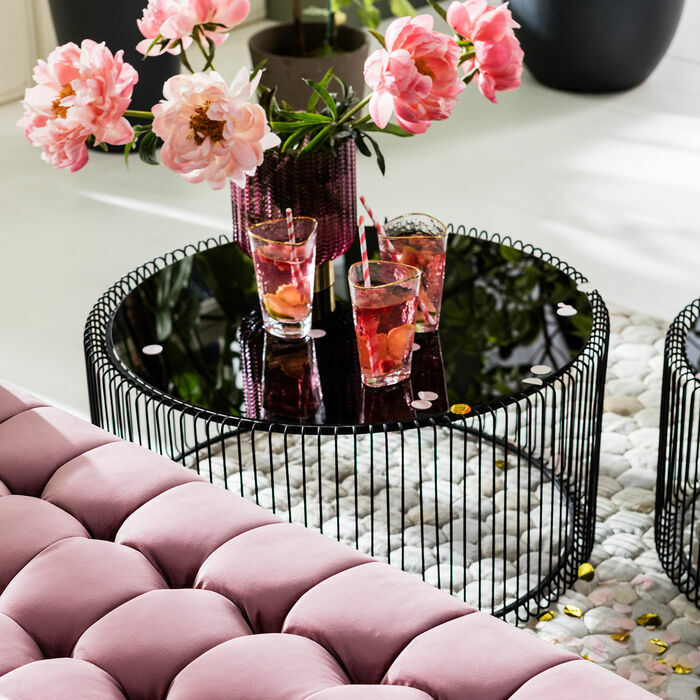 The Wire Black coffee table set looks as if sketched and celebrates the elegance of the minimalist. 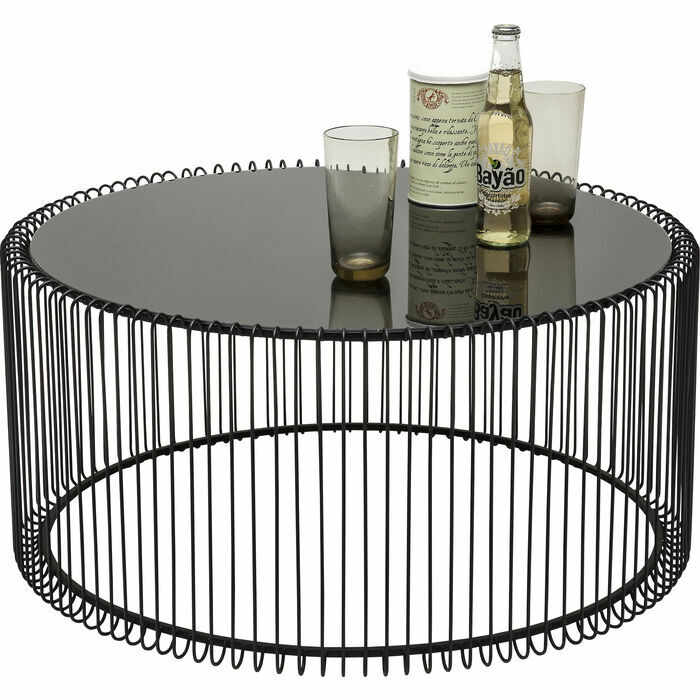 The black, finely drawn round frame with slender metal rods supports a table top of deep black glass. 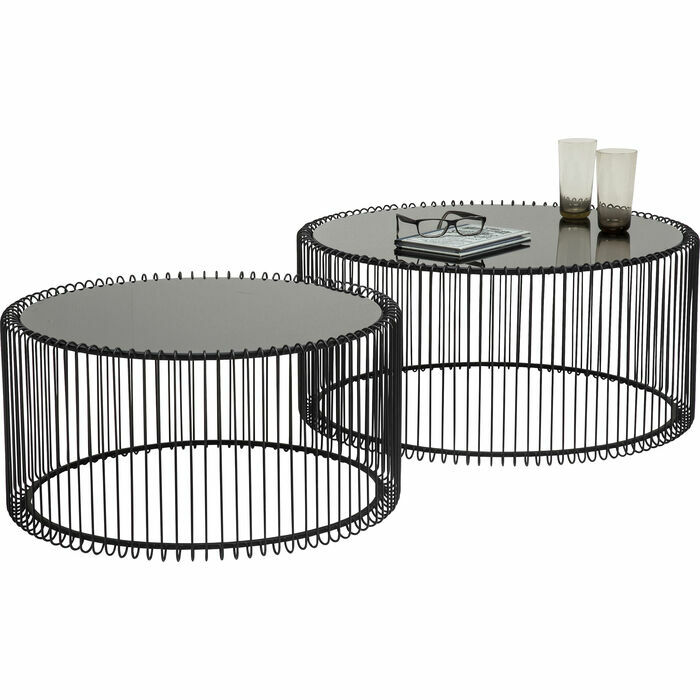 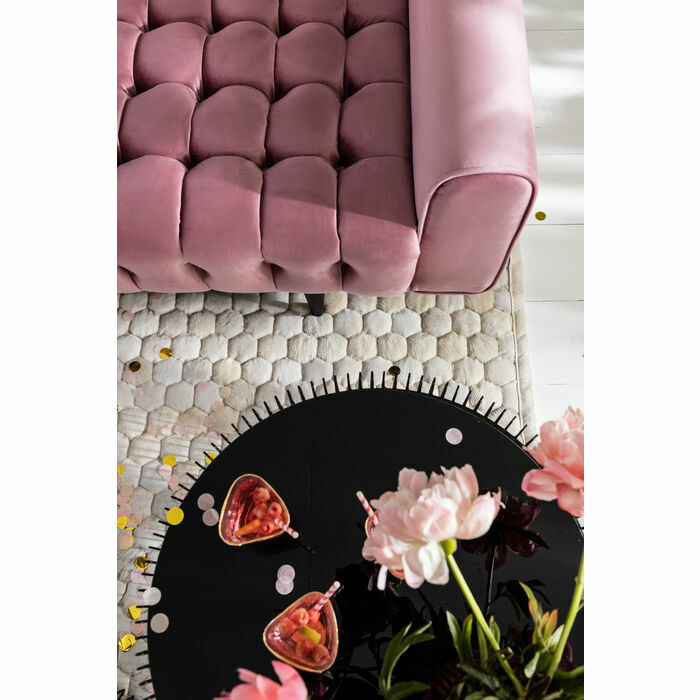 A modern and cleverly designed composition that looks light-footed and filigree in spite of its striking appearance. 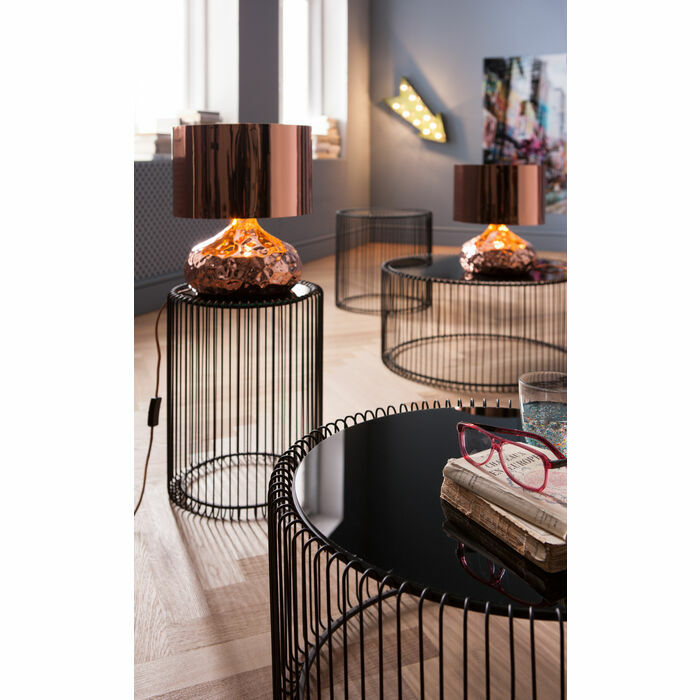 Always an enrichment for any modern, reduced furnishing style. 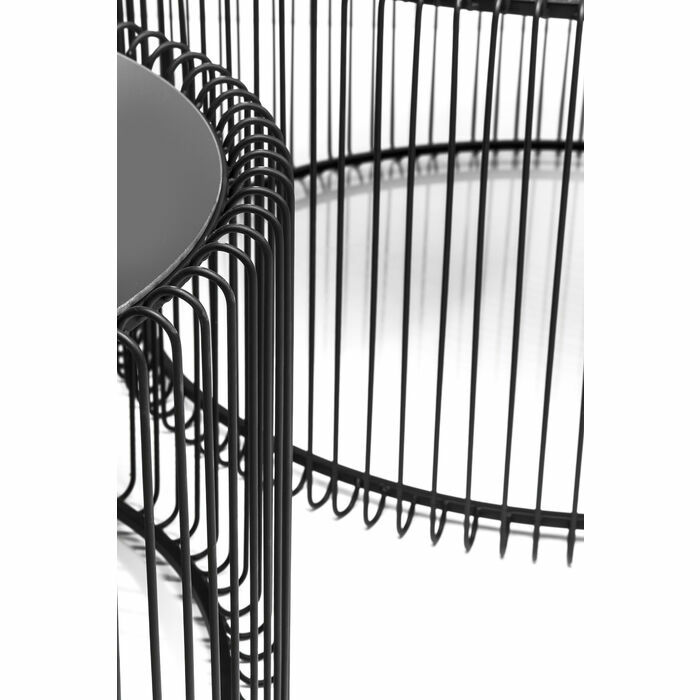 The Wire series is available in black, white or copper and two different sizes.